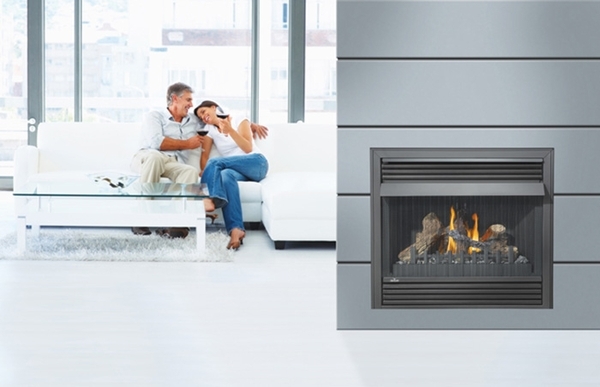 Owning a gas fireplace couldn't be easier than with a Napoleon GVF36 Vent Free Gas Fireplace. Requiring no chimney or ventilation system, this fireplace provides you with complete and total freedom. And because it requires no clearance to combustibles, you can literally put this auxiliary heat source anywhere you have the space. *Please Note: A separately purchased bay front may also be used to complete installation. Shown with stainless steel louvres. yhe picture shows a much taller unit than the 35 inch listed in the specs. is that an extra unit? This item is the fireplace itself. The mantel surrounding the fireplace is only an example of how the fireplace could be framed when you're installing it. Is the tall piece above the mantle included? 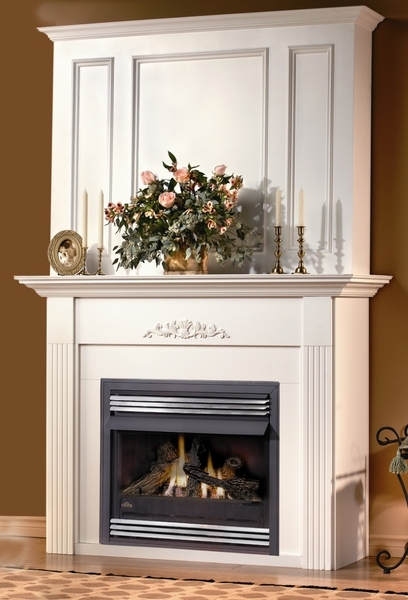 Not only is this section not included, but the mantel itself is also not included and is no longer available. Does a propane ventless cause any soot around the house? No it should not. If you have any sooting there is a combustion or log placement issue. 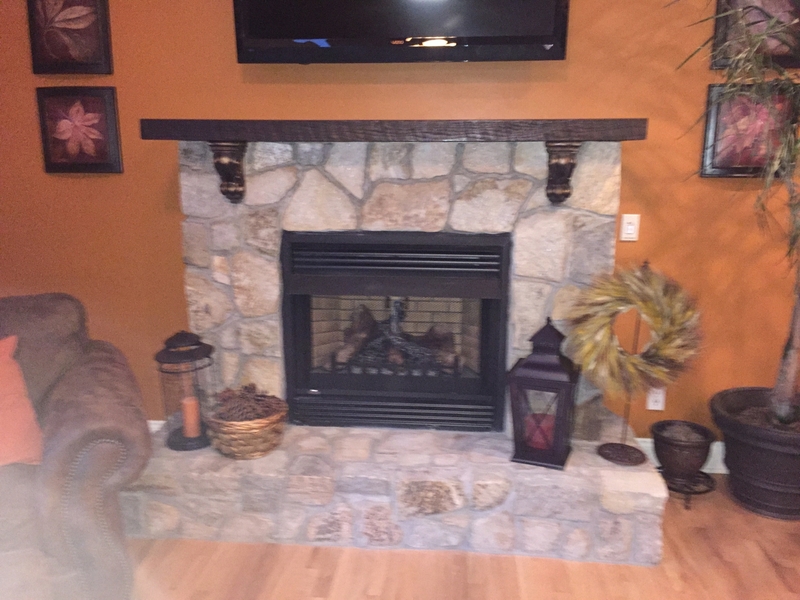 I have this fireplace; can it be converted to natural gas from propane? The Napoleon GVF36 is not convertible and can only be used with the gas type that is indicated on the rating plate (the gas type it was made to use). Does the pictured mantel comes with this fireplace? This unit does not come with a mantel. How many square feet will this Napoleon fireplace heat? This unit can heat around 900 square feet. 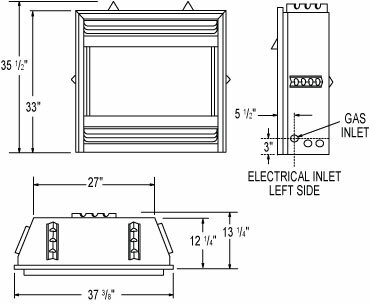 How heavy is this Napoleon GVF36 Vent Free gas fireplace? The published weight for this item is 91 pounds. Does this Napoleon GVF36 vent free fireplace require a hearth? This item does not require a hearth. It can be framed directly into the wall, so long as all clearances to combustibles are met. Can this Napoleon fireplace be used outdoors in a covered area? This fireplace is not approved for use outdoors. What all is included? Is electricity required to run this? This includes the firebox itself, the burner, and the gas logs. You must choose which set of louvers you want from the drop down menu, which will add to that price since they do not all have the same cost. You do not need electricity to operate this unit unless you purchase a blower. 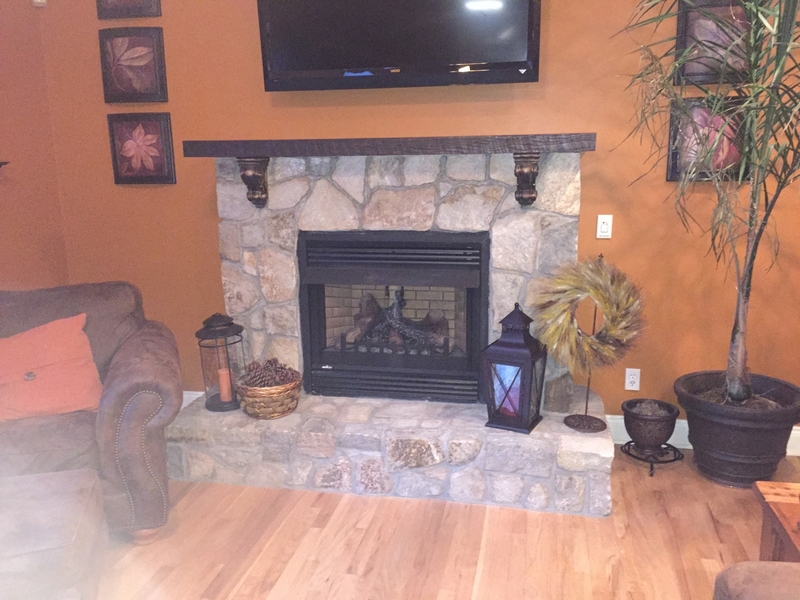 The logs are indeed included with this vent-free fireplace system. What kind of propane regulator is needed when installing this unit? A regulator that can supply the gas valve with between 11 and 13 inches of water column must be used. Depending on the gas pressure that is being supplied from your tank, you may need to use a pair of regulators, as most household gas regulators can only step down pressure by 1-2 PSI. However, there is usually a main regulator already installed on the tank that steps pressure down to the 2 PSI mark or lower. The unit does not come from the factory with a thermostat, but you can certainly equip the fireplace with a remote or wall mounted thermostatic control. Looks good, works good. Needs more instruction as to how to mount fans, switches and the other accessories. ConsNeeds more instructions for adding the fan and switch. I purchased this for my wife for Christmas. She really wanted a fireplace in the living room. I did most of the installation myself except for the stone work. It was fairly easy to install. The instructions were easy to follow. I am very happy with how this whole project went and the fireplace works fantastic. I now come home from work, turn the fireplace on and I�€™m nice and warm within an hour. It heats up quickly and I have an open room with high ceilings. Even better than the added warmth to the room was the ordering and delivery. The order shipped quickly and they were quick to respond to my questions after the orders was placed. The delivery was painless. It came in a lift gate truck and put everything in the garage like I asked. Without a doubt I would order from this company again.